Theragenics Corporation®, a medical device company serving the surgical products and prostate cancer treatment markets, today announced that its subsidiary Galt Medical has received U.S. FDA 510(k) clearance to market its Galt VTI™ valved tearaway introducer. 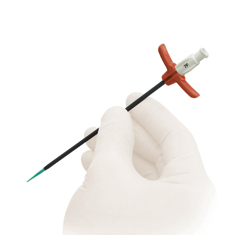 Introducers are used for vascular access, with the Galt VTI expected to be utilised primarily for placing catheters. It’s design allows surgeons the ability to introduce or provide access for other medical devices to enter into a patient’s vascular system while reducing the risk of an air embolism and leakage. The Galt VTI is described as a tearaway introducer which includes an ergonomic, low-profile, patent-pending integrated valve. According to a company news release the Galt VTI is a less bulky and a more compact design than similar products currently available.